Last year ,at the Living Education Retreat, Art Middlekauf gave a resounding finale plenary on Charlotte Mason’s call to parents. He broke down what he perceived would have been the parent’s responsibilities of a child who attended her school. They break down into 3 calls that pertain to any parent not just ones who pursue her method of teaching. This speaks to me on so many levels. Your calling as a parent is God ordained. 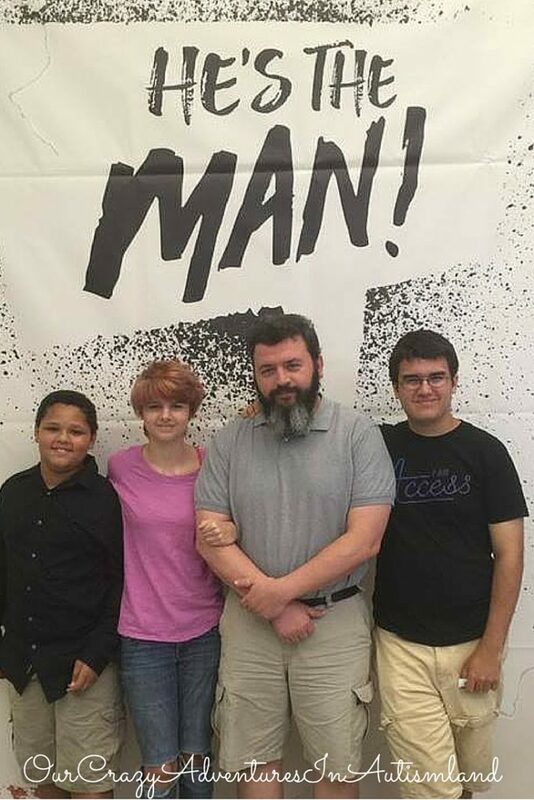 He chose YOU to be their parents. YOU! He knew from the beginning of time that you would parent these children. Take a moment to let that sink into your psyche. The enormity of that responsibility should be breath taking to say the least. I will make one caveat here. I do not believe for one minute that autism is God ordained. God did not chose me to be Logan’s mom because he has autism. He did chose ME to be Logan’s mom though. I need to be the best mom I can be which means that with Logan it includes autism. There is no higher priority once you become a parent. This does not mean that the world revolves around your children. I’m not asking you to sacrifice your marriage on the altar of children or autism. Children need to learn that in a Godly household it’s God first, marriage second, children third. This means that the only 2 things that should come before children are God and marriage. Not football, not hanging out with friends,not even other family or Facebook. This does not mean that marriage comes first if there is any hint of abuse from the other spouse. I’ve walked that road as a child. If the other parent is abusing the child then the child comes first. Period. End of discussion. The abusive parent has abdicated their role in the marriage. The reality of having a child with autism is that sometimes their needs will trump everything. This is not the same as having a child centered home. At some point in every family someone’s needs will have to be prioritized. This past summer it was me. I was so overwhelmed , depressed and physically ill. It was apparent to even strangers that something was amiss that needed immediate fixing. We entered a season where everything was put in maintenance mode so that I could take a much needed respite break. Family becomes your highest priority in life. There is no greater work to build the Kingdom of God than building a strong family. In a time when so many are broken , a strong family is irreplaceable. There is no greater gift you can bestow upon your children. 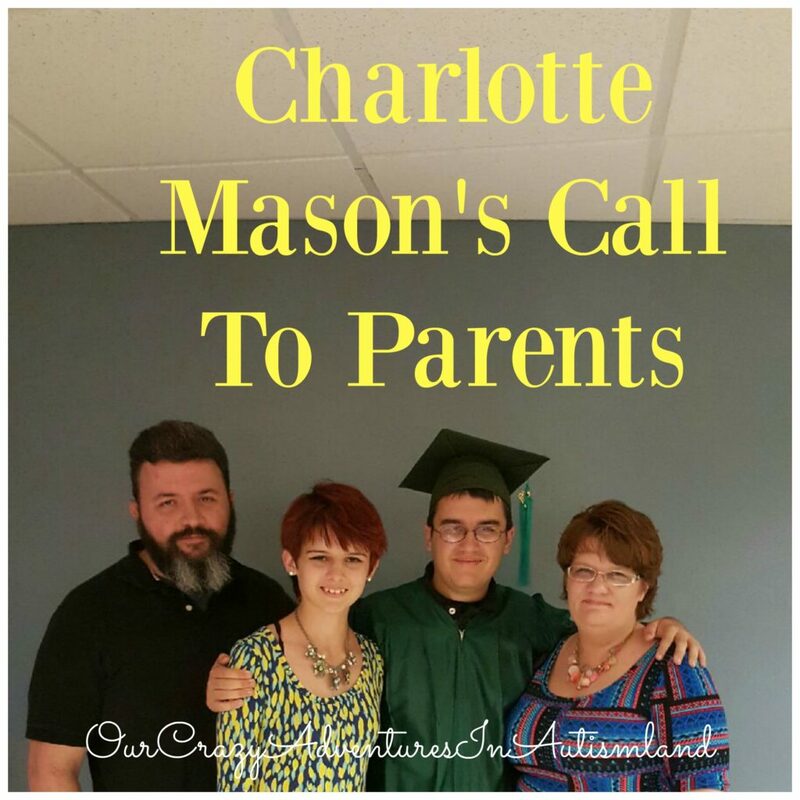 Educating your child is the last of Mason’s call to parents. She believed, as do most homeschooling families, that it was the parent’s responsibility to give their children the best education possible. Whether this be at a regular school or in homeschool, it is the parent’s responsibility to make sure that their children are educated. As you can imagine, I lean towards homeschooling. It’s my opinion that parents teach their children best. That’s my opinion though. Mason believed that even if children were being schooled elsewhere, it was the parent’s job to be actively involved in their children’s education. For special needs parents this entails attending IEP meetings if your child is in school. Pop in the school to verify that the IEP is being followed. Be in constant contact with the child’s teacher so that you are working on the same problems at home and school. Remember you’re a team working towards the same goal. If you are homeschooling your child with autism then you are already working hard on their education. Be diligent in your lessons. It’s easy to get sidetracked with day to day life. Don’t become lackadaisical in being certain that academics are being given their due time. Whether your child goes to school or is homeschooled remember that there is more to life than test scores. Miss Mason did not have the added responsibility of teaching to the test. I’m pretty certain that she wouldn’t have even if it was a factor in the early 1900s. I love the Puritan Revival Verse. Our goal is to have children who love Jesus and redeem the culture. Everything beyond this is gravy. That has been my mantra for all of our homeschool years. My children may not be the most well educated or the best in class for anything. If they are the best servant of God that they can be then my job is done.